“If you haven’t tried the whisky, you haven’t visited Scotland” so they say. I’ve never considered myself a whisky drinker; in fact I’d never normally order a whisky in a bar, and only possessed one cheap bottle at home, in case a guest ever asked for some. However, when in Rome and all that, so when in Edinburgh, I decided it was time to learn a little about whisky. Conveniently located in Old Town, just a few minutes away from my rental flat was The Scotch Whisky Experience. What better place for a whisky novice such as myself to learn the basics? 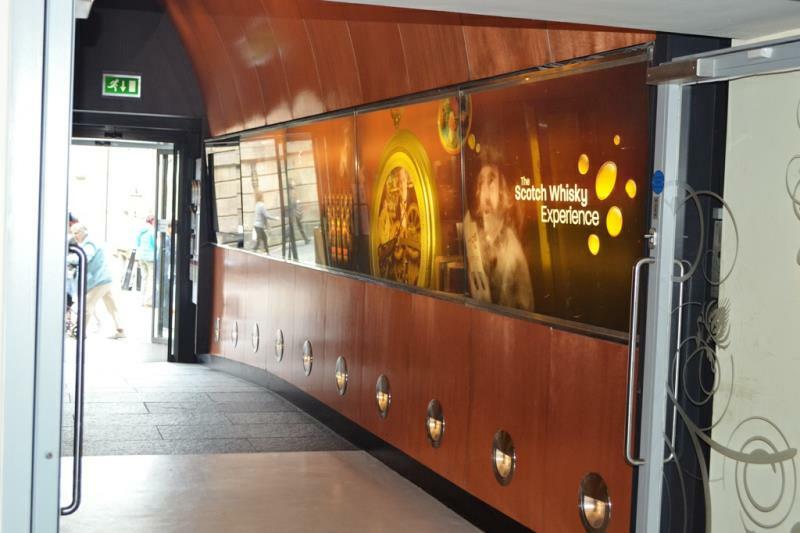 The Scotch Whisky Experience was opened in 1988, when 19 individual Scotch Whisky Companies jointly invested £2m to create a showcase for the Whisky Industry to international visitors. 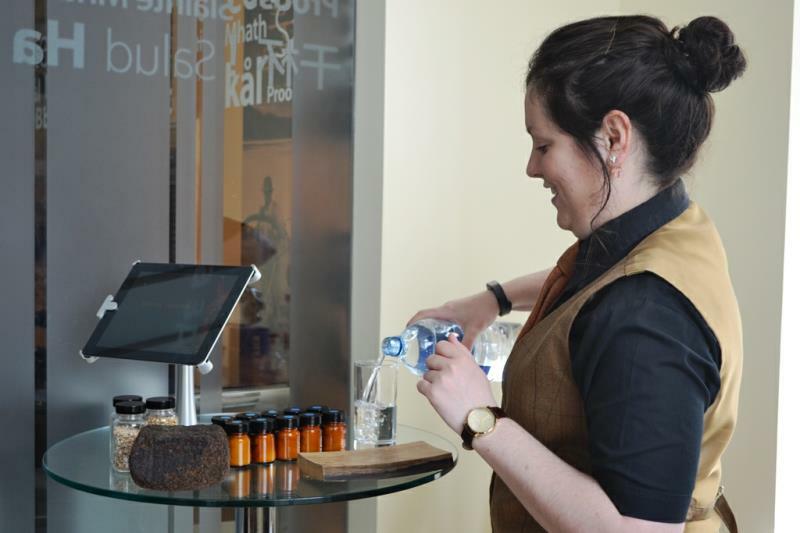 An interactive exhibition, not a working distillery, The Scotch Whisky Experience represents 90% of the whisky industry, making it the ideal first stop for budding whisky enthusiasts. 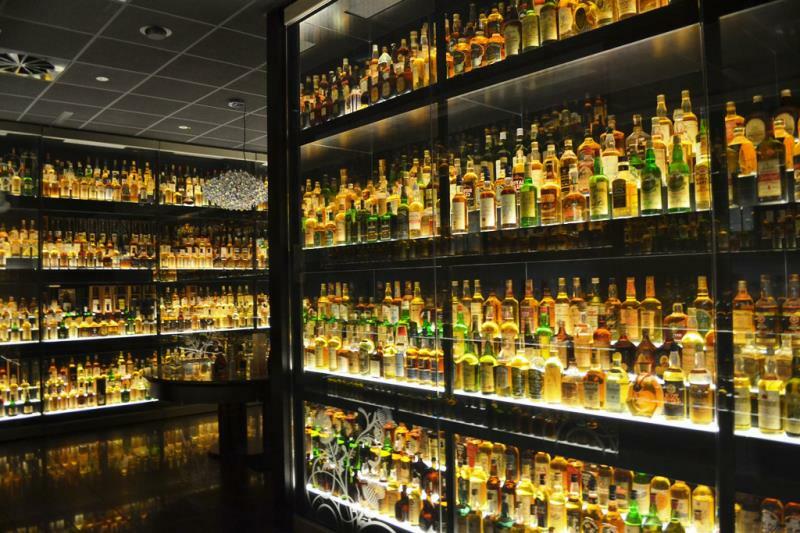 The experience underwent a £3m upgrade in 2009, incorporating the priceless Diageo Claive Vidiz Whisky Collection, comprising 3,384 historic bottles of whisky glowing within a marble and glass vault. 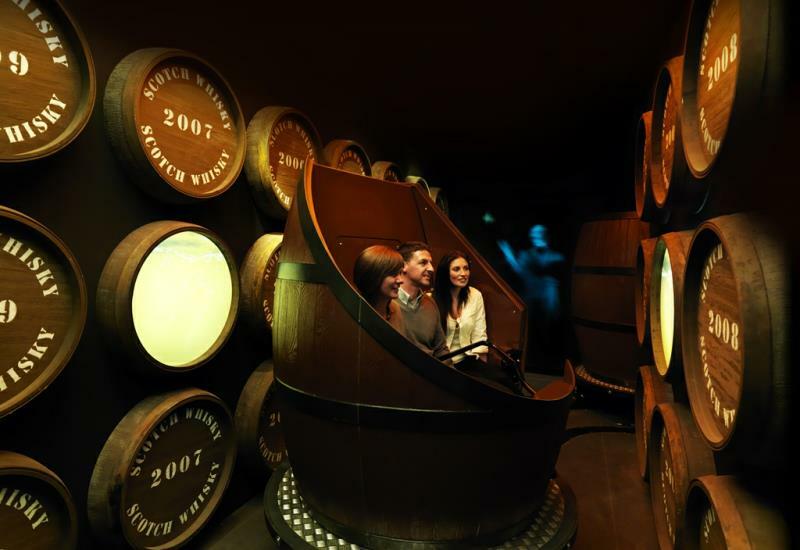 A variety of tour experiences are offered at The Scotch Whisky Experience, ranging from the “basic” Silver Tour, which will make you a “one-hour whisky expert” to the Platinum Tour which is more extensive and in depth. The Taste of Scotland experience combines the Platinum Tour with a sumptuous seasonal tasting menu in the award winning on-site Amber restaurant. 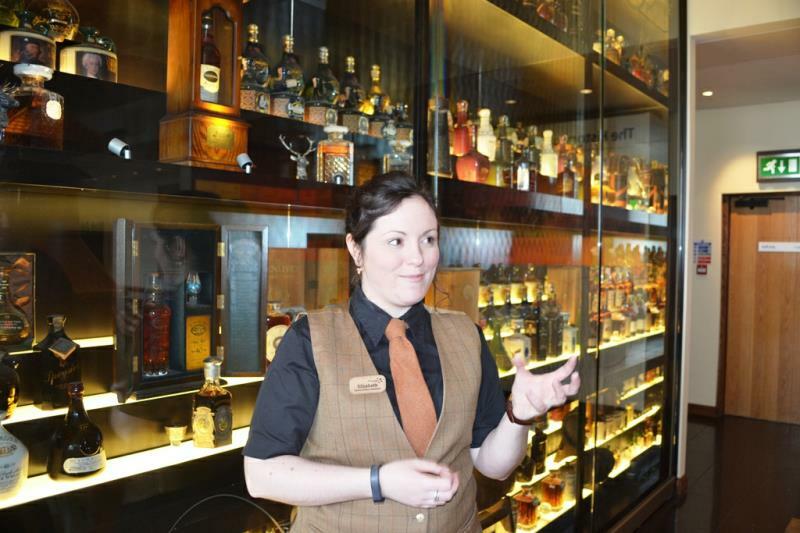 We chose the Morning Masterclass – billed as an in-depth tour for whisky enthusiasts. I didn’t really consider myself a whisky enthusiast before my visit, and wondered if the experience would be wasted on me; however, somewhat to my surprise, I emerged as one, and feel the time spent at The Scotch Whisky Experience was the beginning of what will doubtless be an endless journey. Limited to a maximum of ten participants, the Morning Masterclass provides plenty of time to talk with your guide, and with only the most experienced and enthusiastic guides hosting the class, it’s both intimate and personal. 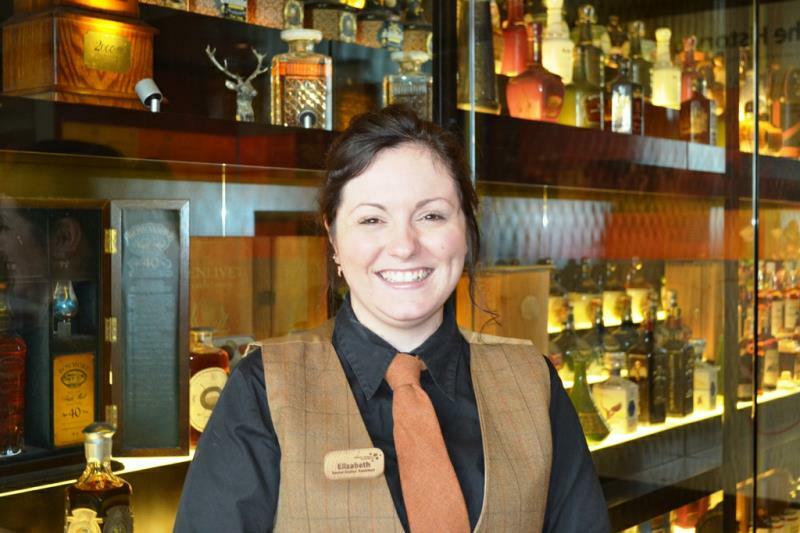 We were greeted at the reception desk by our guide, Elizabeth, who escorted our small group to the gallery, where we began by viewing the world’s largest collection of Scotch whisky, while enjoying coffee and shortbread. "The Collection" in itself is amazing; impressive in size and variety, and we could easily have spent an hour or more just examining the incredible display. In the 1970s, Claive Vidiz, a whisky enthusiast in Sao Paulo, Brazil and founder member of the Brazilian Association of Whisky Collectors, started to seek out and purchase Scotch whisky of varying type, cost and rarity. 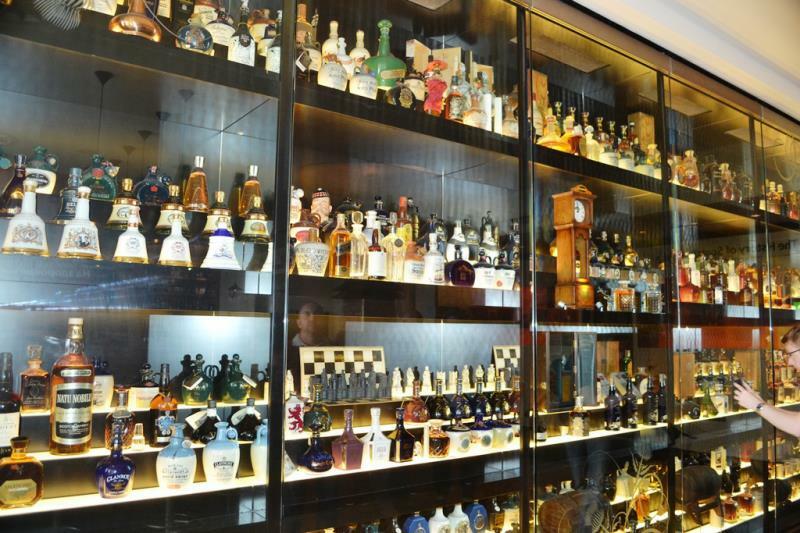 He amassed almost 3,500 bottles over 35 years. 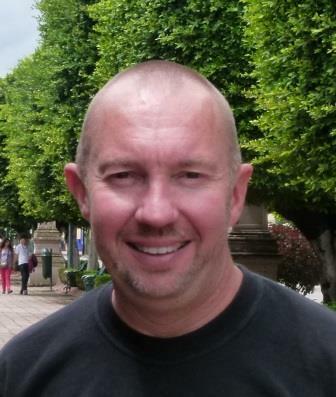 His collection began when a Scottish business associate visited Claive and, knowing his passion for Scotch, brought him a selection of 6 different bottles of Single Malt Whisky. He told him that he had chosen only the best and to share these bottles with his closest friends. Claive’s first encounter with Single Malt Scotch Whisky inspired him to put the sealed bottles on his top shelf and soon they were joined by others. The original six bottles are on display within The Collection; today these brands are far more widely available. 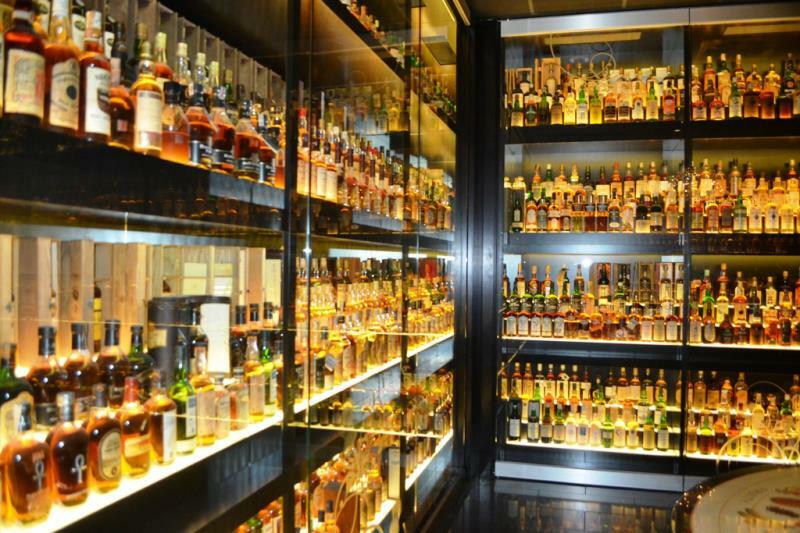 In October 2006 The Collection was purchased by Scotch Whisky Distiller, Diageo. When Diageo brought the Claive Vidiz Collection home to Scotland, it was with a commitment to preserve the legacy, the passion with which it was collected and to share it with an international audience. 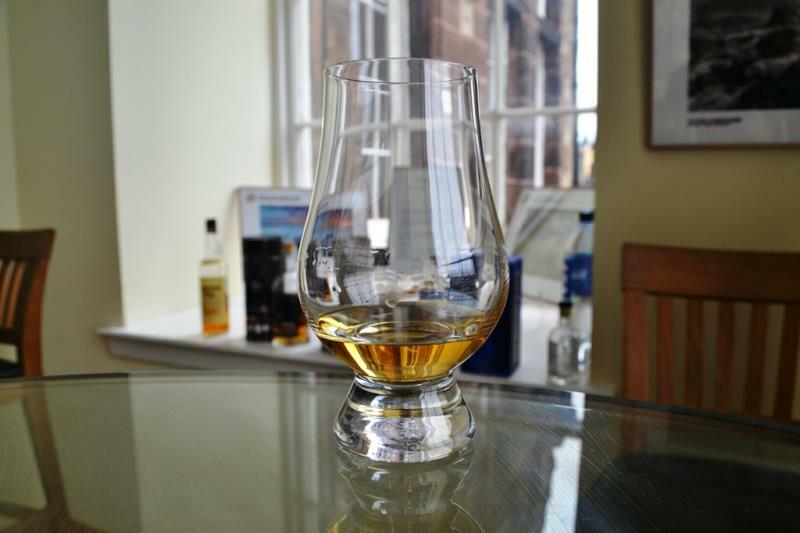 It was decided that this would be best achieved by locating it at The Scotch Whisky Experience in the heart of Edinburgh. Elizabeth talked us through The Collection, pointing out various bottles of particular note. 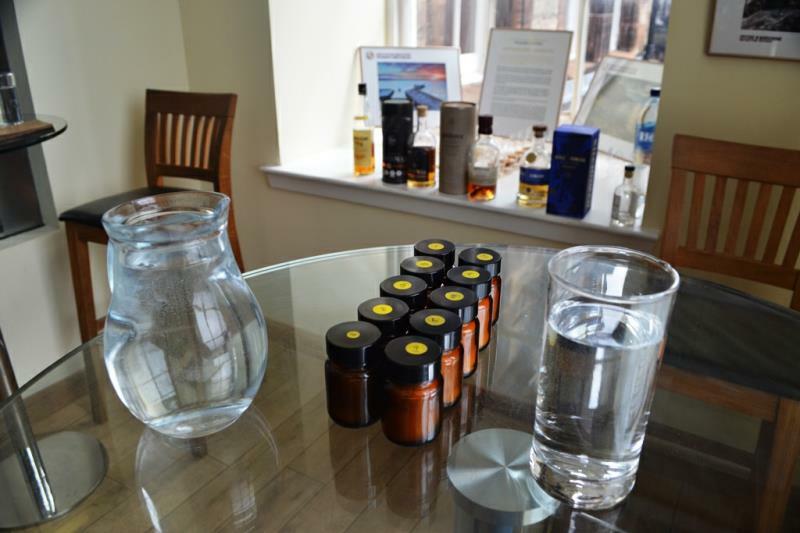 After finally persuading us to leave The Collection behind, we were then escorted into the classroom area, for a sensory perception test, and comparative tasting of one blended whisky, one single grain, and two single malts. Elizabeth’s lifelong passion for whisky was clearly evident, and she explained clearly and succinctly about production, ingredients and characteristics. At the end of the class, Elizabeth presented us with boxed crystal whisky tasting glasses, engraved with The Scotch Whisky Experience logo as mementos of our visit. We were then invited take the “Whisky barrel ride”; an automated tour through the production of Scotch whisky. 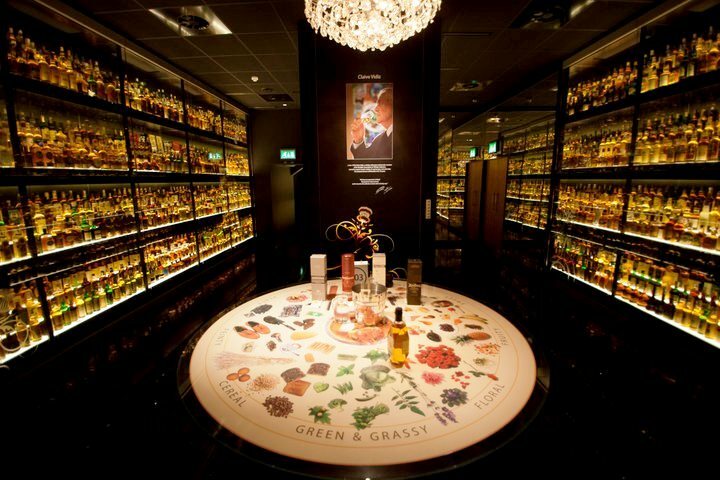 Even the gift shop is an experience; the stunning specialist whisky shop is a magnet for whisky lovers. Nearly 500 different derivations of whisky are offered, with expert advisors trained to guide visitors through the astonishing choice to find their perfect dram. 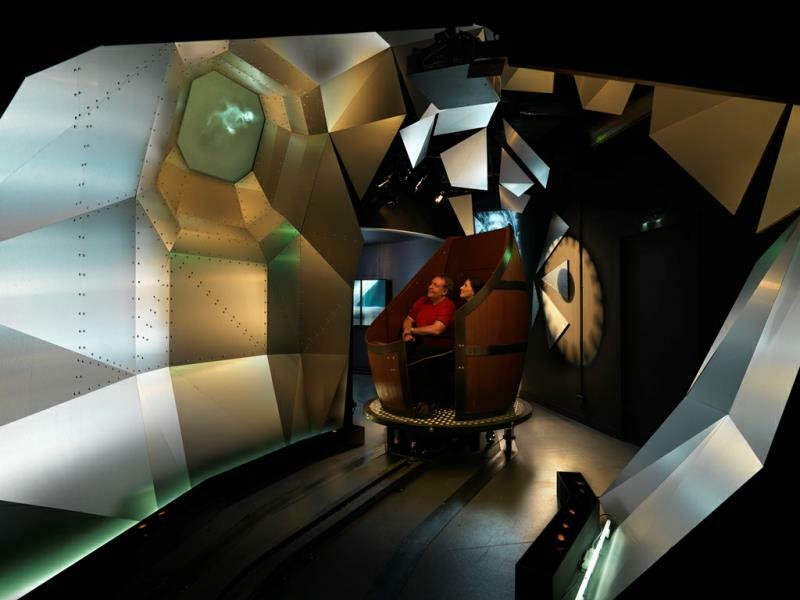 The shop underwent a £1m upgrade in 2012, creating a uniquely interactive space over two levels. “If you haven’t tried the whisky, you haven’t visited Scotland.” Following my visit to The Scotch Whisky Experience, I agree wholeheartedly with that statement, and would encourage anyone visiting Edinburgh to take the time to share the passion for whisky exhibited by the excellent guides. Even if you’re not a whisky fan when you go in, you may find, as I did, that you are by the time you leave. 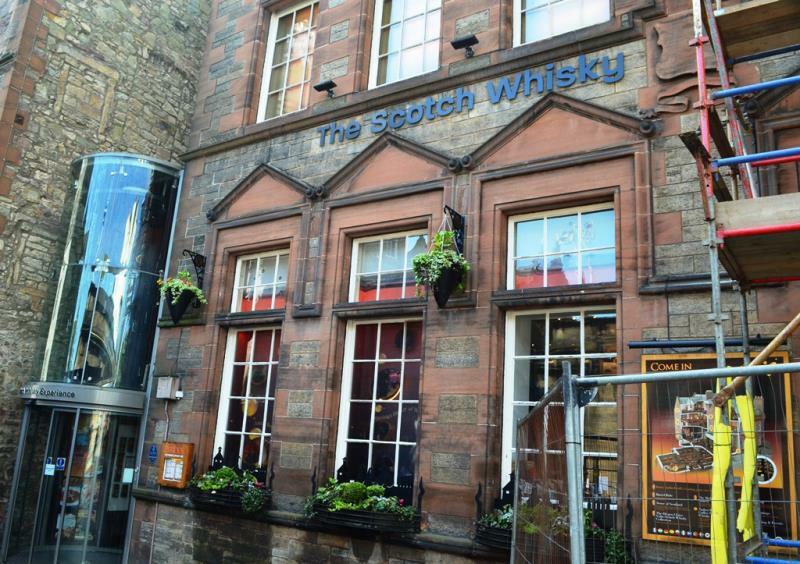 The Scotch Whisky Experience is located at 354 Castlehill, at the top of The Royal Mile. Tours can be booked online and advance booking is highly recommended (essential for certain experiences such as the Morning Masterclass). Amber restaurant and whisky bar is open to all; tour booking is not required to dine. Unfortunately our busy schedule didn’t allow us time to experience the gastronomic delights on offer; that’s definitely on my list for the next time I am in Edinburgh. Stewart Mandy received complimentary Morning Masterclass tickets from The Scotch Whisky Experience for the purposes of this article. All opinions however are his own.